Tap That! 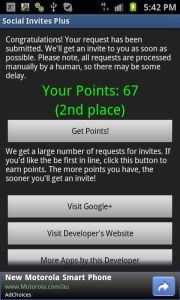 Number was the first Android app I ever released, and also the first game I’ve ever written for any device. For this reason, it wasn’t the most polished game out there by any means. After a few months of developing Android apps I felt that I’d gained enough experience to take another look at the user interface in particular. So I set out to completely redesign the app, and add a few new features in the process. I kept the same basic layout, but used themes to apply an individual style to each UI element(buttons, labels, etc.). A little style really goes a long way. It’s amazing how much difference it made to simply add a background image. After changing the background, and blending the tile colours a little (using #eee & #333 instead of #fff & #000 for example) the difference was radical. I showed both versions of the app to my family, and they immediately preferred the new version. In addition to the user interface changes, I added a couple of features that people had requested by email. An options menu now allows you to turn vibrations on & off, or restart the game if you’ve lost the flow of things. 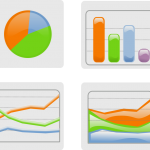 According to Google Analytics, the restart button is used for about 15% of visits. I’ve been promising for a while to release a paid app on the Android Market, in order to gauge the results compared with the free apps I’ve released. 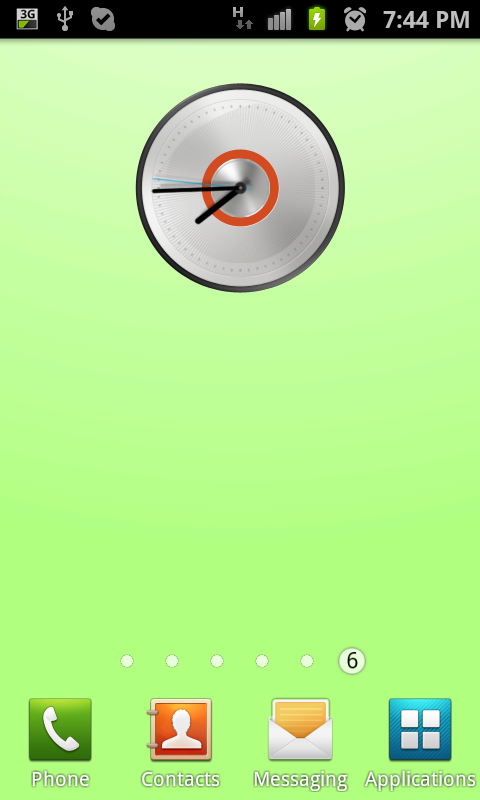 So this month I released my first freemium app – a live wallpaper which depicts the current CPU usage as a color (from green to red). It’s a pretty simple concept. 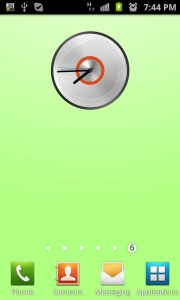 The idea came to me one day, when looking for CPU monitor apps – why can’t I just show the CPU usage on my wallpaper? I couldn’t find any other apps that presented this info in a subtle way, so decided to write my own. They say necessity is the mother of invention. I think it’s very important when developing an app that you have a strong understanding of the target audience. Clearly the best way to connect with your target audience would be to develop an app that is designed for you. That is, you are the target audience (and people like you). Unless you use the app on a daily basis, you’ll never come across the same issues that other users are facing. You’ll find it much more difficult to get a perspective on which features are most important. Initially I designed the wallpaper to display a plain color, with no effects or styles applied. It was quite a fun exercise to figure out how to grab the CPU usage (StackOverflow helped here). But of course a plain colour isn’t all that pretty as your wallpaper. I figured out a few bitmap effects to apply, mainly a gradient, and wrote some code to handle transitions between different colours smoothly. That transition code was probably the most difficult part of the whole app, but was good experience with threads & timing. The free version includes some basic options in the configuration dialog. But I also built a paid version (currently available for $2.99) which is more configurable, with options to change the speed of animation, as well as the update interval. I added a link in the free app to download the paid version, in the hope that this would encourage upgrades. Since my goal here was to earn revenue from selling the app, I didn’t include banner advertisements in the free or paid versions. So how much revenue did I make from app sales? A huge total of $4.78 from 3 sales (taking into account currency conversion). 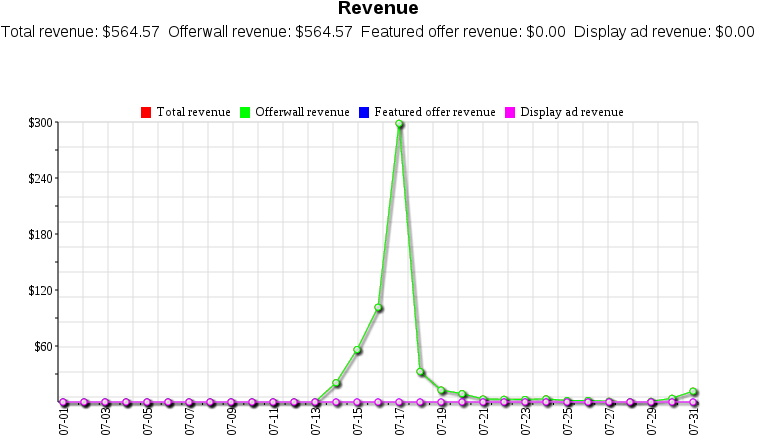 I suppose it’s not that bad, seeing as my first month’s advertising revenues were only $3.88. But from the initial figures, I’m not blown away by the revenue from a paid app vs. free. I’ll take another look in a few months time and see how things compare, especially once there are a few more features to justify the upgrade. 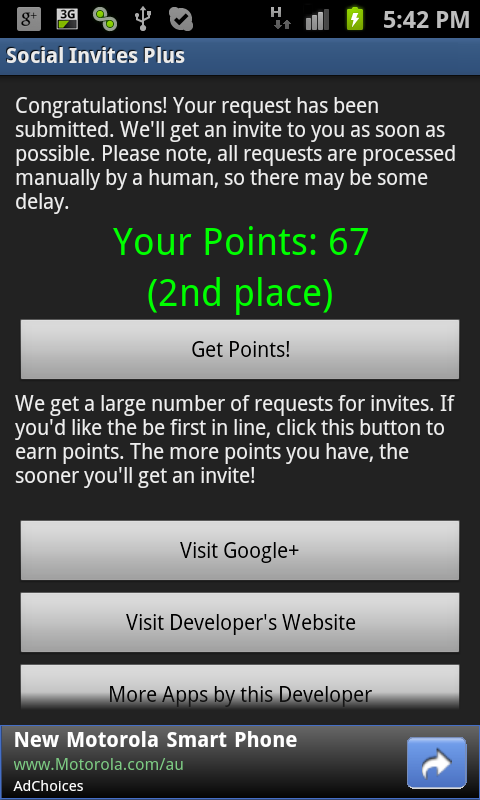 You might have already seen my story about the Google+ Invites app. If you haven’t, I recommend reading it. Basically I got lucky with one of my apps, and made over $250 in a single day using the Tapjoy incentive advertising platform. It started off as a weekend project, and ended up being my biggest revenue generator of all time. This was a huge encouragement for me, as it shows that you can make money with Android. Significant amounts. It’s a little bit hard to interpret this chart because of the huge spike, but there was still revenue coming in after the 21st – a few dollars per day. But obviously the big money came over a period of 3 or 4 days there. The highest point on the chart, the 17th, is when Google suspended my app. Since it was less than half way through the day when they did so, I could have potentially got over double the revenue for that day if it had remained active. Of course, it’s easy to guess what might have happened. The fact is, I made significant revenue from this app, and that could be repeated with other apps in the future. I’ll definitely be considering how I can use Tapjoy and incentive advertising in my apps going forward. My eCPM with Tapjoy was $21.90 this month, while AdMob was only $0.32. If you’ve got an app that could easily offer incentives (such as points, or credits) to your users, it might be worth considering this type of advertising too. My other apps suffered a bit of neglect this month, as I was focused on the Live Wallpaper and Google+ Invites experiment. However, the blog client for this website got a fair few downloads (and also accounted for a large portion of my AdMob impressions). The app, titled “Making Money With Android”, received about 1,100 downloads this month – bringing the total up to 1,500 installs. Pretty good for an app that took me 10 minutes to make using feed.nu. Overall this was a fantastic month, with over 800% increase in revenue and many learning opportunities. It’s very unlikely that I’ll be able to repeat this month’s figures in the coming months, especially since the Google+ Invites app is now rendered defunct. But I’m hopeful that I can learn from the new experiences gained, and apply the skills & motivation gained to my future activities with Android. If nothing else, this was a bit of a boost to say “come on, you can do it!”. It’s definitely possible to make money with Android. It’s just a matter of time, perseverance, and a fair bit of luck (or fate, or divine providence if you are so inclined 😉 ) Thank you all for your support and continued comments – I’ve probably learned as much from reading other peoples’ experience as I have from my own development. Keep it coming! In my experience the Android development community is one of the most vibrant, helpful and positive communities out there. It’s a pleasure to be working with you.